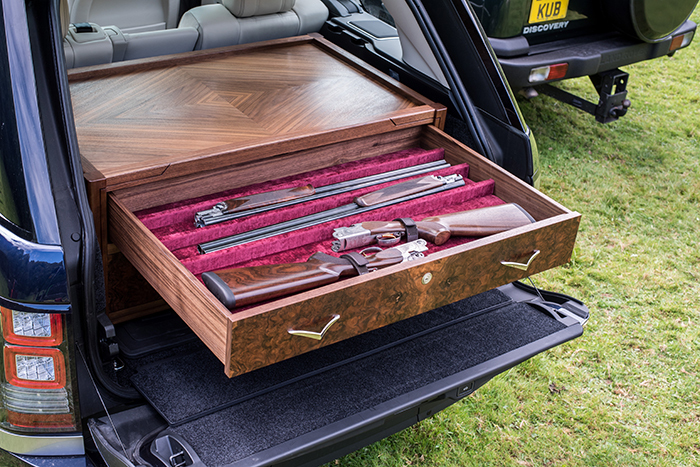 Since founding Blake Bespoke Furniture in 2010 the goal has always been to supply luxury wooden products to the shooting market. 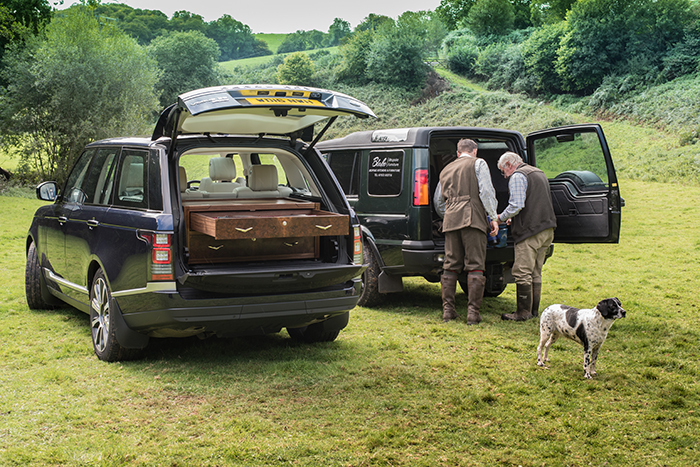 Everything from gun boxes to gun rooms. 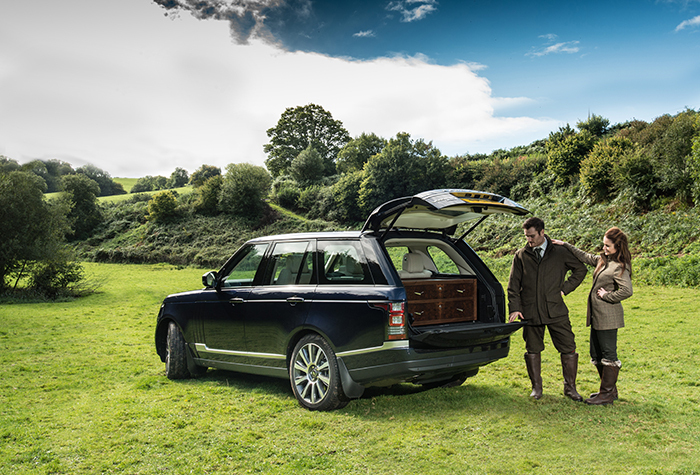 The opportunity to be able to work with all three of Blake's main passions: shooting, Land Rovers and wood allows him to make your dreams a reality. 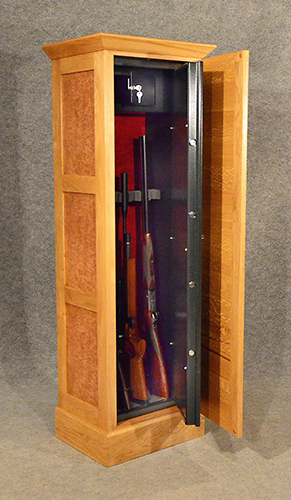 Our Gun Cabinets are made to order and are designed to house any number of guns and ammunition. 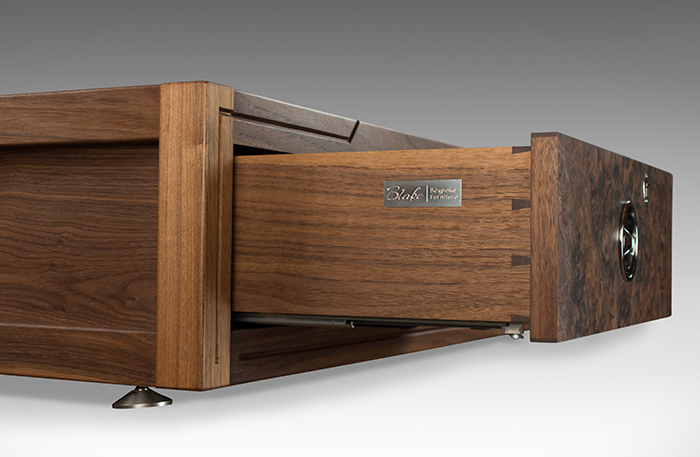 We also offer a made to measure stainless steel safe option. 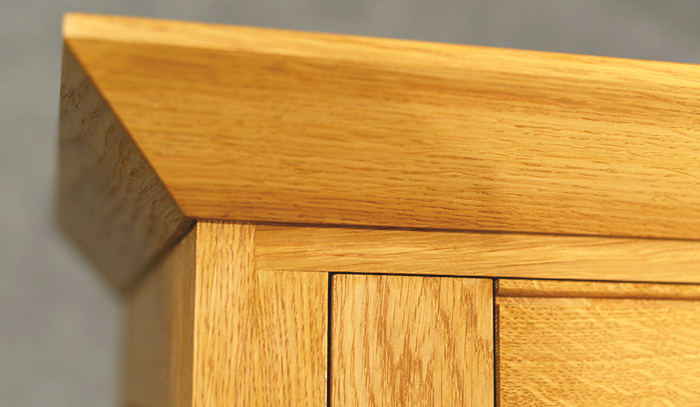 Cabinets can be made to blend in with the existing furniture or as stand-alone pieces. 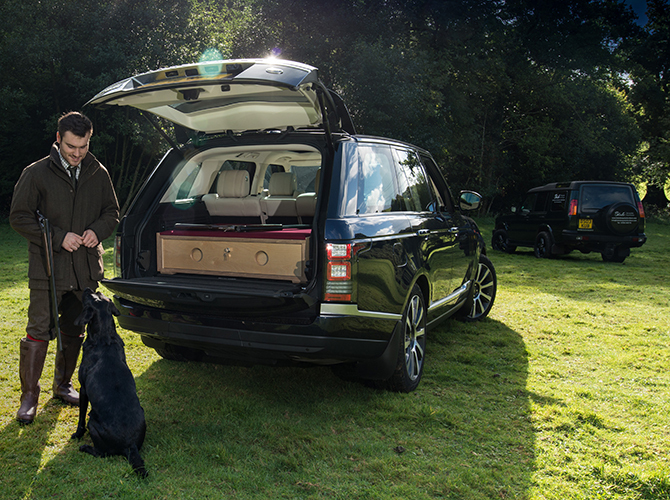 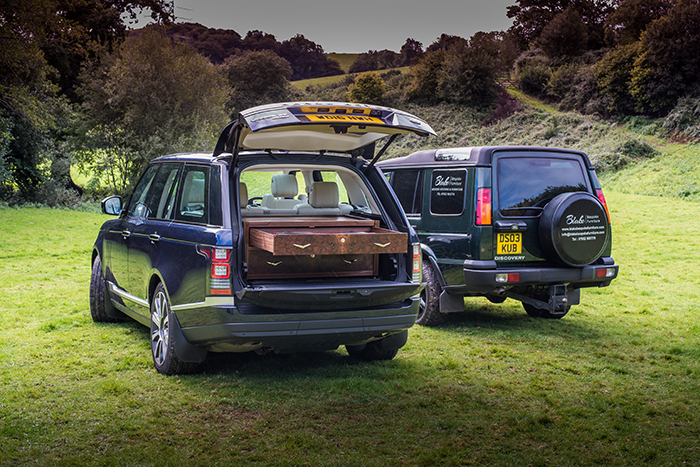 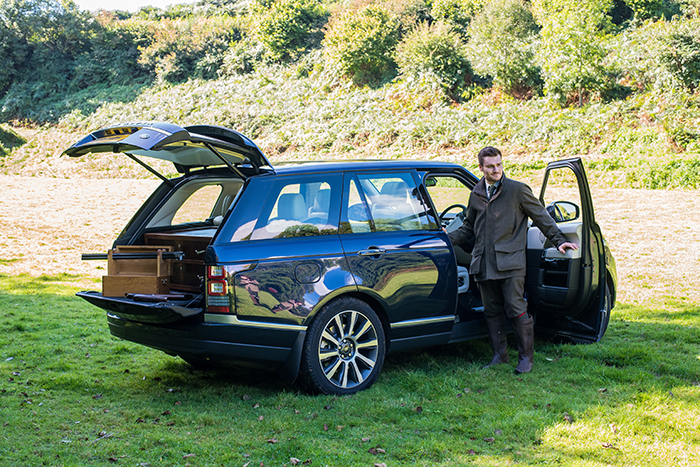 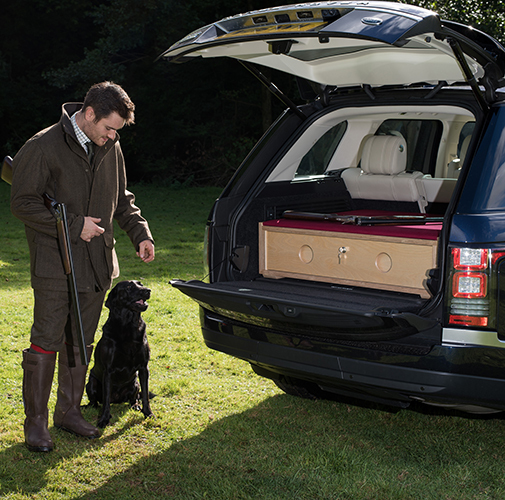 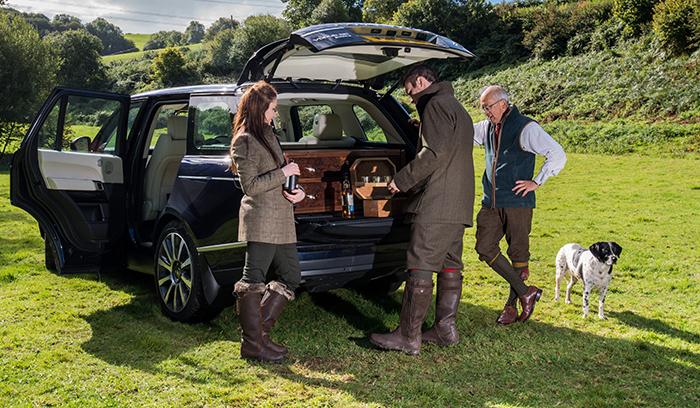 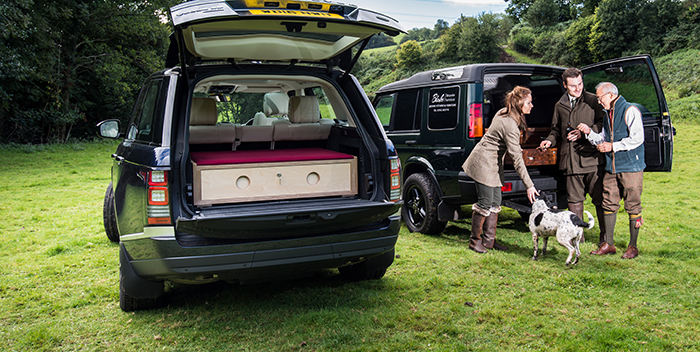 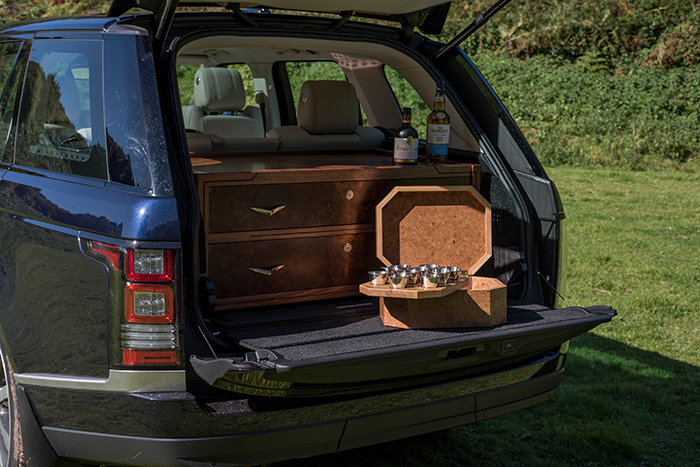 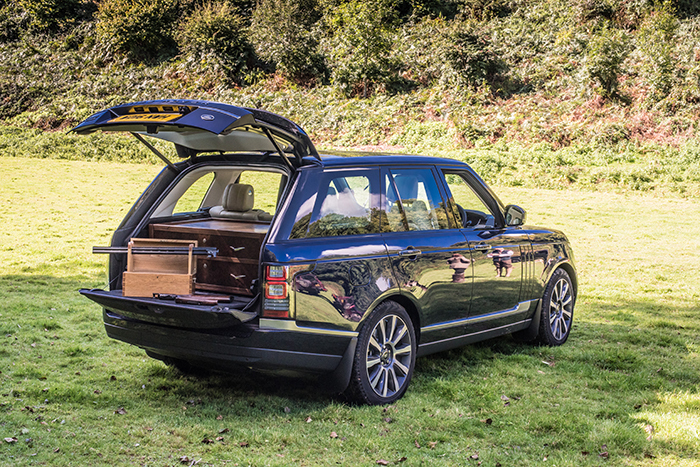 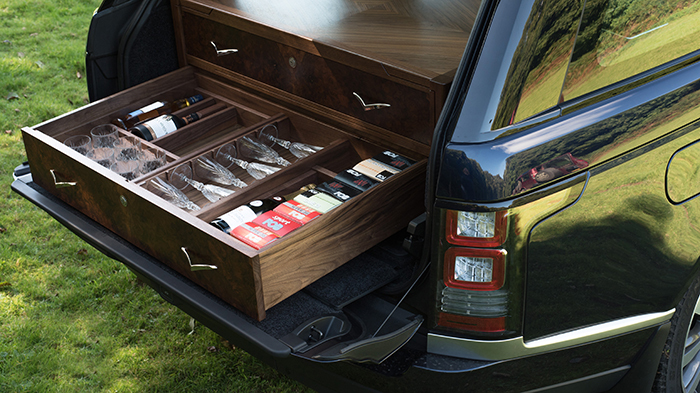 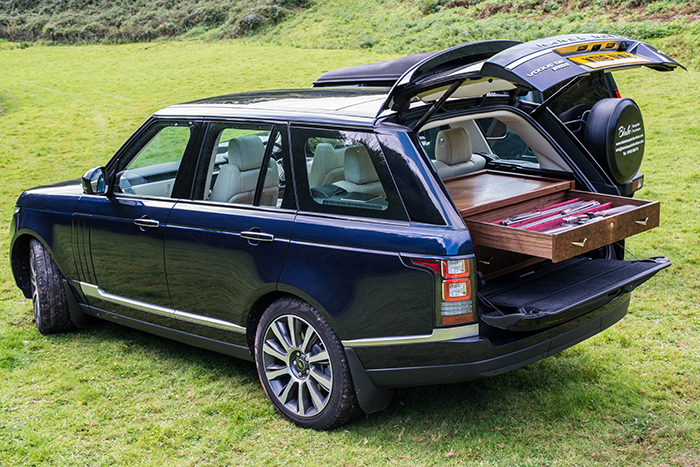 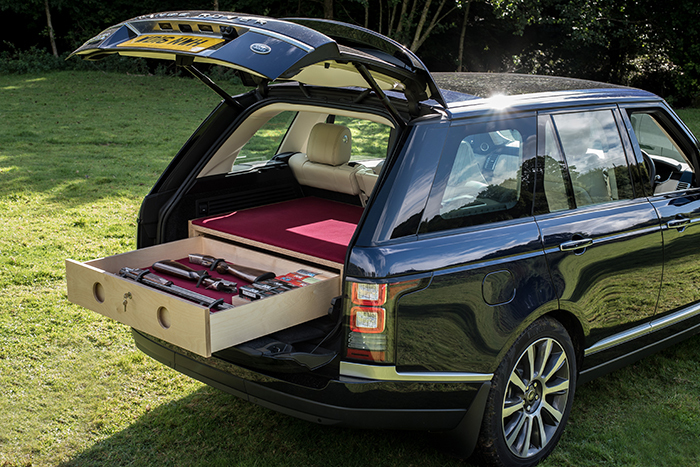 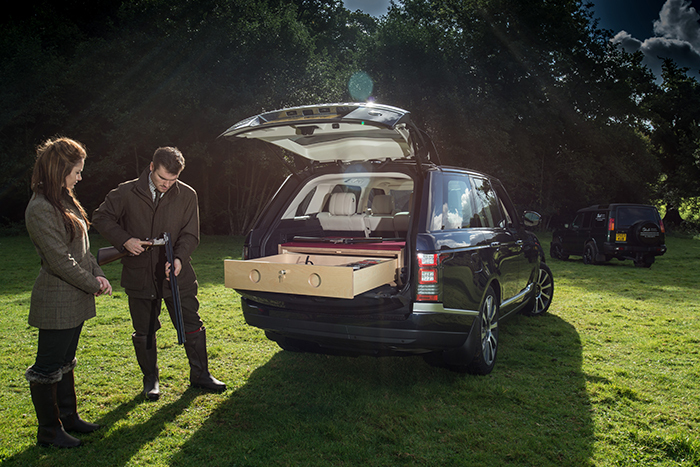 Our gun boxes are tailored to your vehicle, guns and accessories. 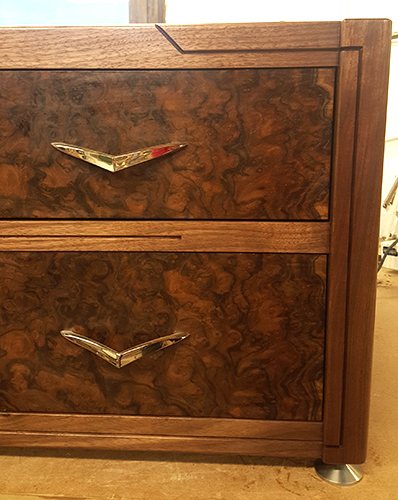 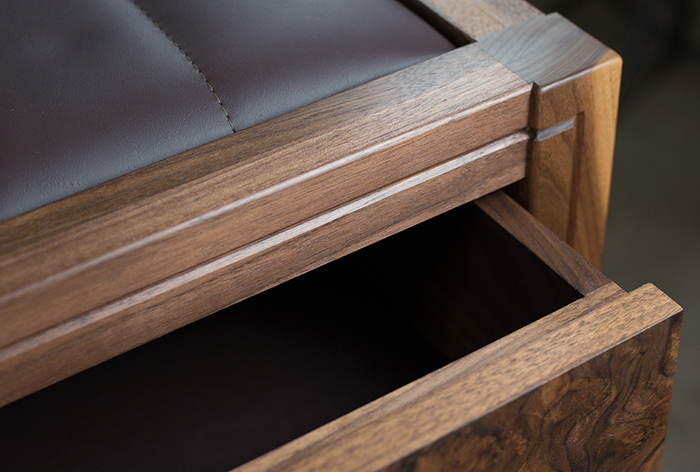 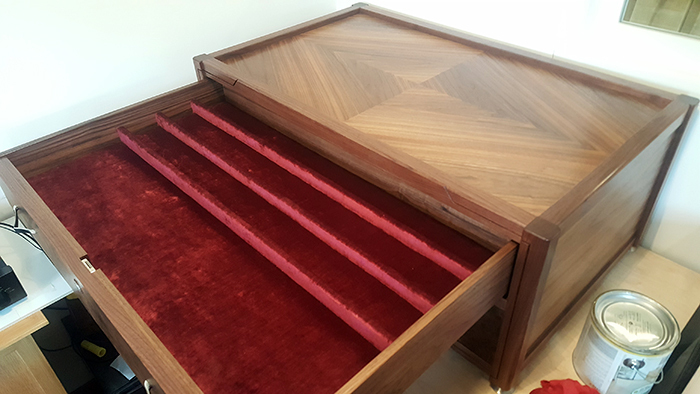 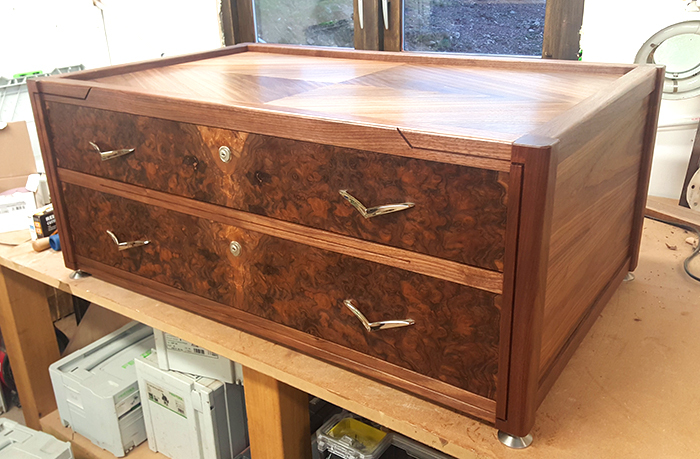 Various options are available including bespoke designs, stainless steel high security drawers, hand cut dovetailed drawers, marquetry, personalised engraving, plus many more. 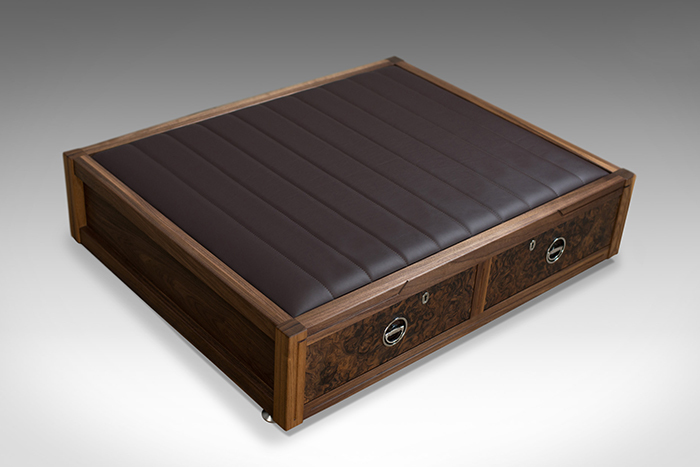 We work with the finest upholsters and cordwainers to protect your prized possessions. 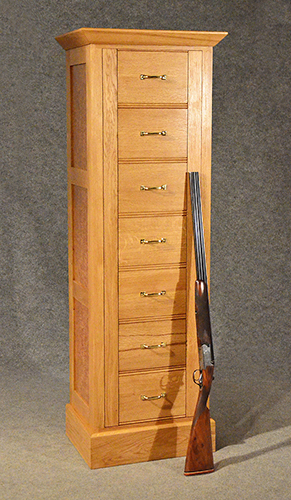 Cotswold Country Pursuits supply our range of cabinets as well as providing many other services to the shooting market. 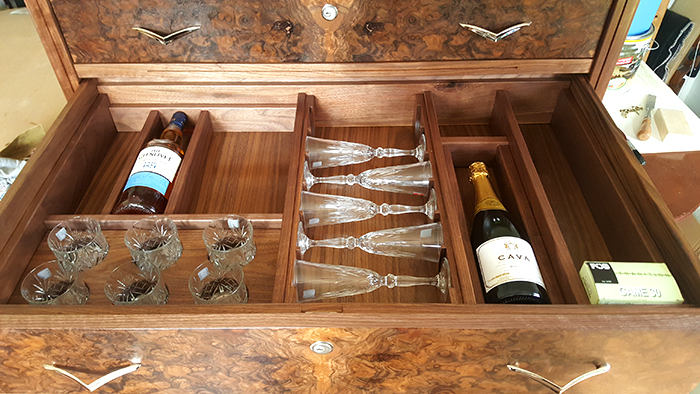 We our official suppliers of Royal Scot crystal and Wedgwood tableware. 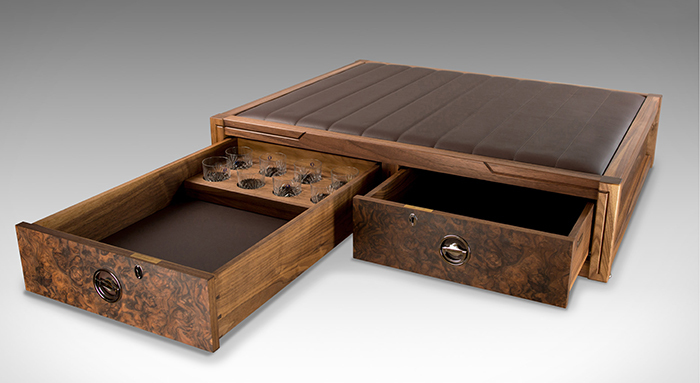 These products perfectly complement our cabinets and take away the need for clients to source their own accessories.